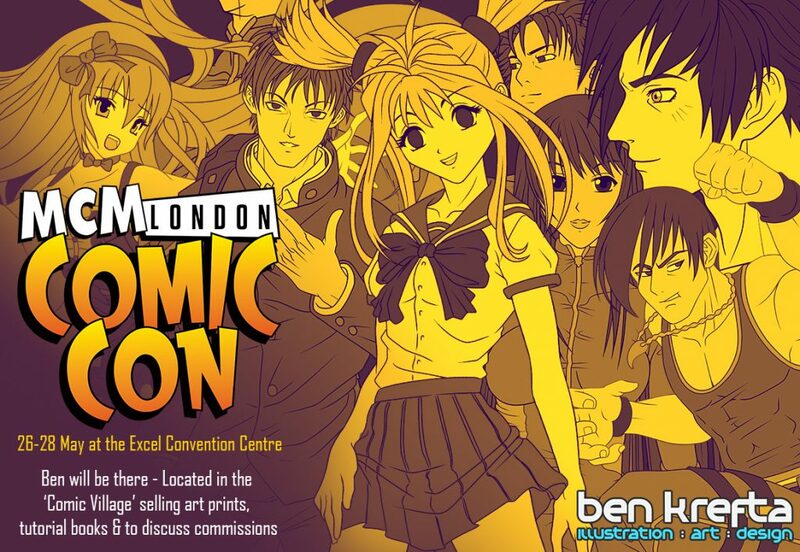 I’ll be attending along with 100s of other artists at what looks to be the UK’s biggest comic convention yet. I’ve got a ‘comic village’ table from Friday 28th of May until Sunday 29th, so anyone who’d like to drop by and say hello, buy a signed print or book is more than welcome. We can discuss potential commissions- this is something I’m happy to do after the con, as I like to put in more time, effort and a better level of finish than is achievable while I’m there throughout the day. This will be the 12th UK Con attended so far. MCMs are difficult to get secure a table. Too many artists and not enough capacity I suppose, so while I’d like to also attend future MCMs at London, for example in October later this year, it’s likely I’ll be unable to get my booking sent off in time. I usually book within 5-60 minutes of the booking form going live, but even then there’s no guarantee of getting a reservation secured, so we’ll have to wait to see what happens.